Volkswagen has two SUVs in their lineup, the Tiguan and the Touareg. With North American’s demanding more and more SUVs to fill their appetite, Volkswagen is now teasing consumers with a new small SUV which will debut at the Geneva Motor Show. No official information is available on this new vehicle as of yet, but its safe to say that the new SUV entry will be smaller in size than that Tiguan. Volkswagen’s interiors haven’t been known to be best in class, but they certainly aren’t the worst out there. However, VW has been putting a lot of time into redesigning and reengineering their interior designs to push the envelop forward. As showcased in their BUDD-e concept from the Consumers Electronic Show in Las Vegas earlier this year, Volkswagen’s future interior vision concept is moving towards simplicity and ease of use through an centralized interactive tech package. 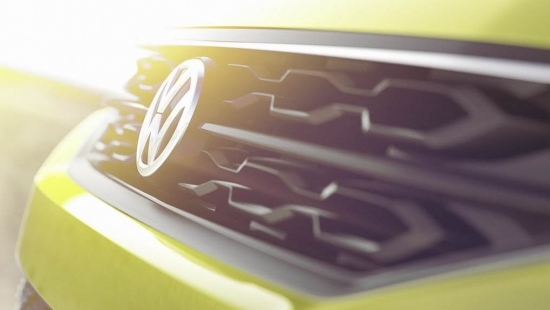 There’s only a few pictures circulating on the internet of this hush hush SUV from Volkswagen. I for one can’t wait to see what debuts in Geneva. The European market is all about the estate vehicles, or station wagons as we call it here in North America. But with consumers on our shores preferring SUVs over wagons, we typically get the short list on wagon options. As in the case for the all new Kia Optima Wagon, as beautiful as a vehicle it is, we likely won’t see it on North American roads any time soon. 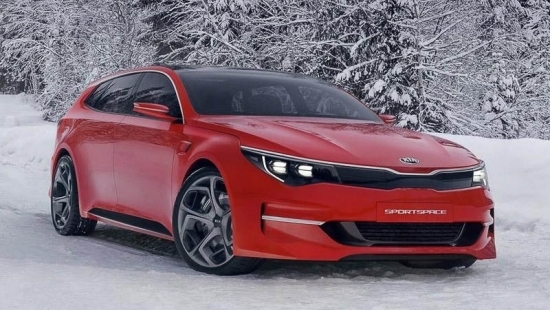 Kia is set to debut the Optima Wagon at the 2016 Geneva Motor Show in March. Based on the Sportspace Concept showcased last year at the Geneva Motor Show, the production version of the wagon will borrow the overall angular body lines from the concept, but will lose the slim line grille and have a beefier rear bumper likely to comply with crash test standards. Once the Sportwagon debuts in Geneva, the public will get its entire spec list. As of now, information on Kia’s new wagon has been limited. 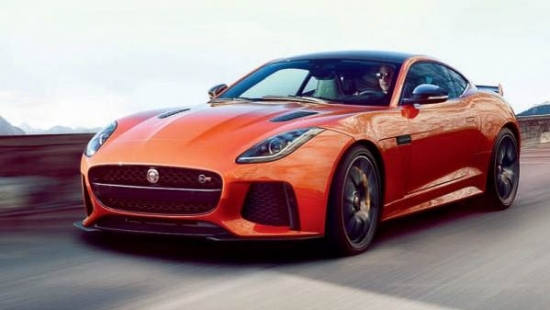 Jaguar’s new F Type SVR will be debuting at the 2016 Geneva Motor Show. This is a much anticipated car as consumers and the automotive industry is eagerly waiting on what Jaguar is doing to make their F Type better. It is confirmed that Jaguar will be using a 5.0L V8 which will be supercharged to pump out 575hp and 516lb/ft f torque. This will allow the SVR to propel to 100kph in a mere 3.5 seconds. The new SVR starts at $126,945USD and that type of money will get you into the 200mph club with the top up. If you opt for the convertible SVR, that will run you $129,795USD and will get you near the 200mph club (195mph top speed to be exact). The SVR is a much updated version of the F Type. First off, the waistline has been trimmed down now weighing in at 110lbs less. The SVR uses a new titanium exhaust, and has optional carbon ceramic brakes and carbon fiber body trimmings. BMW just rolled out the production version of the Active Tourer Concept in Geneva. It is an interesting vehicle and reminds me of the Mercedes B Class. Sort of a cross between a wagon, SUV and mini-minivan. This expands the entry level line-up of the BMW brand and brings about a few interesting changes. 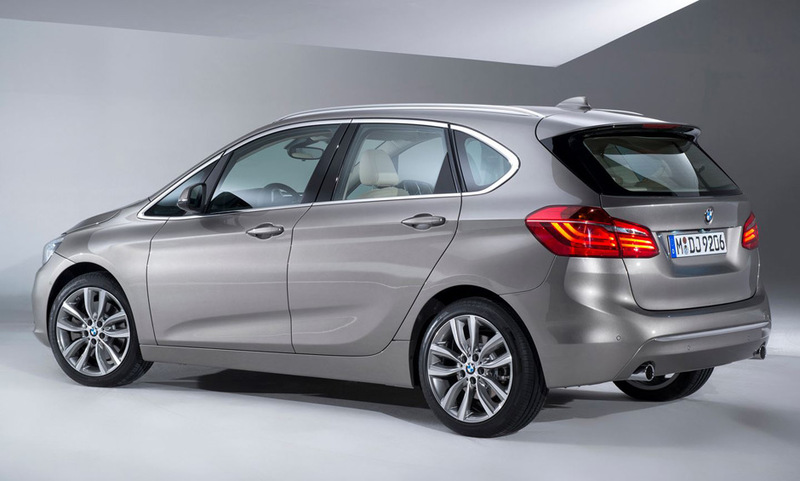 The Active Tourer is a big departure for BMW from the standard front engine rear drive layout. This model is front engine front drive. This should have purist in a tizzy. The Active Tourer is a 2 series and that doesn’t seem to jive with the realignment of the 3/4 series that we just experienced. The high roof line should give drivers a great view of the surroundings and make entry and exit easy for those with younger children. The vehicle is expected to come to Canada and there are rumours that X-drive will be an option. This makes for a more compelling vehicle for our winter climate than the B-Class as it is not available with 4-Matic. No information on engine choices for Canada, but it is being release with a 1.5L turbo 3 cyclinder, a 2.0L turbo 4 cyclinder and a 2.0L turbo diesel in Europe. Sure, the name sounds rather silly, but there is no hiding the fact that the Ferrari Enzo’s replacement, oddly named the Ferrari LaFerrari, is a technological tour de force. 963hp out of a F1 derived Hybrid KERS drivetrain. A carbon fibre chassis designed by F1 engineers, including the legendary Rory Byrne. Active Aerodynamic components to allow the most efficient downforce to drag ratio at any speed. All of this combine to create the fastest Ferrari road car to come out of Maranello. Back in 2011, Ferrari launched their F1 race car, named the Ferrari F150 to celebrate the 150th anniversary of Italy’s unification. Ford, which has a storied history with Ferrari in the 60’s, happens to own the trademark to the F150 name for their line of trucks and threatened to sue. Ferrari had no choice but to rename their F1 car to the Ferrari 150° Italia. So it’s rather interesting that the Enzo’s replacement started off with the F150 as it’s codename, because there is no way that it would make it to production. 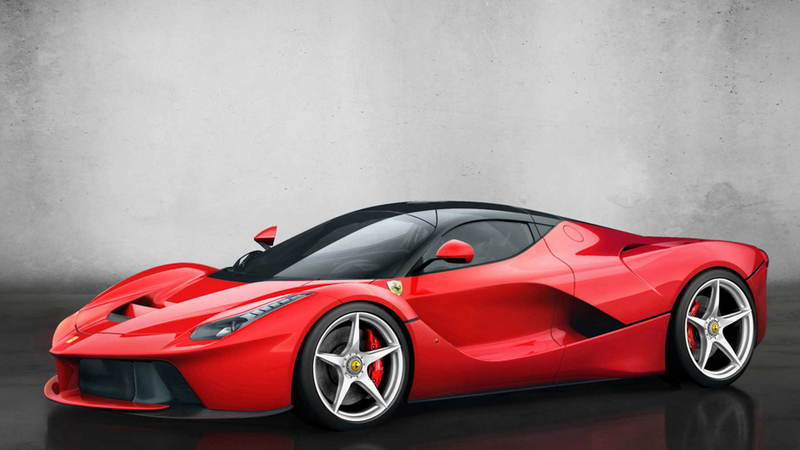 Like the 2011 F1 competitor with the awkward name, the car we see here has been named the LaFerrari. When Toyota first announced that they will be showcasing a concept version of a convertible FT-86 (Scion FR-S) there was a lot of excitement. When images of the vehicle were leaked after it was shot sitting outside of a warehouse without any cover, the car looked just as good as everyone imagined. Now, after Toyota has officially unveiled the FT-86 Open Concept at the Geneva Motor Show, we can only hope that they will bring this vehicle to market–without pricing it out of reach. Price has always been a concern on the FR-S, it is a popular vehicle do to its performance and value. Toyota built this concept to gauge public reaction to a convertible version of the super popular coupe and it looks like they tried to keep the changes to a minimum. The fixed hard-top has been replaced by a fabric roof with a glass rear screen. The roof folds down behind the rear seats with minimal impact on trunk space. The interior 2×2 seating configuration is unaffected. 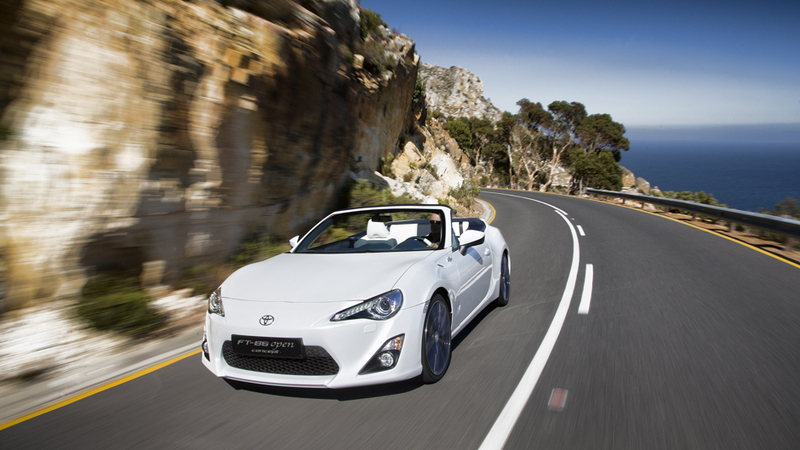 The FT-86 drop-top utilizes the same engine and drivetrain as the coupe. Because it is just a concept, Toyota still has to assess the impact of chopping the roof off and will need to address vehicle rigidity, balance, weight and aerodynamics. While a convertible was on the table during the initial design of the coupe, it was designed with a convertible in mind so Toyota believes that the impact on structural rigidity will be minimal. The coupe offers a 53:47 front to rear weight distribution, and with the folding roof stored near the rear, the weight balance may move closer to a 50:50 split. While Mercedes-AMG brought an entire all-star line-up to the Geneva Motor Show, including a pair of black series cars the SLS Black Series and C63 Black Series “Edition 507”, and E63, and a CLS63. The star of the show, at least for us here in North America is the new A45 AMG. Such a sought after hot hatch that unfortunately won’t be making its way here to our shores so I figured I’d include a few more live shots. Mercedes-AMG teamed up with Usher to unveil the A45 AMG to the automotive media gathered in Geneva for the 83rd Geneva Motor Show. It was explained that the A45 AMG is representative of the “AMG Performance 50” growth strategy, in which Mercedes-AMG plans to grow the model line from 22 vehicles up to 30 vehicles and worldwide sales from approximately 20,000 vehicles to over 30,000 vehicles within the next 5 years, in time for their 50th birthday. A huge part of this will be the opening of new markets, a role that will be taken by the AMG Performance Centers, which will grow from the current total of 270 Centers in 24 countries up to around 350 Centers by 2017. 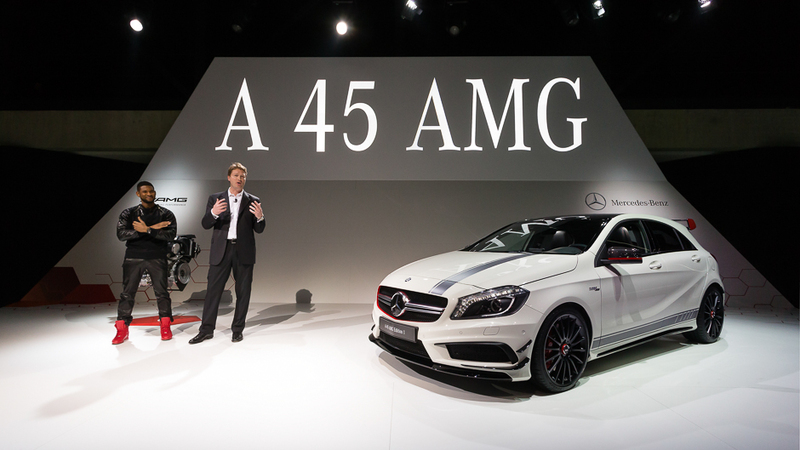 The number of AMG vehicles offered with 4Matic will also continue to grow, not only with the A45 and CLA45 but also on board other AMG high-performance vehicles. This year, the E63 and CLS63 were offered for the first time with a performance-oriented AMG 4Matic all-wheel drive system a welcome addition especially for us here in Canada where we get more months with inclement weather than months with sunny weather. 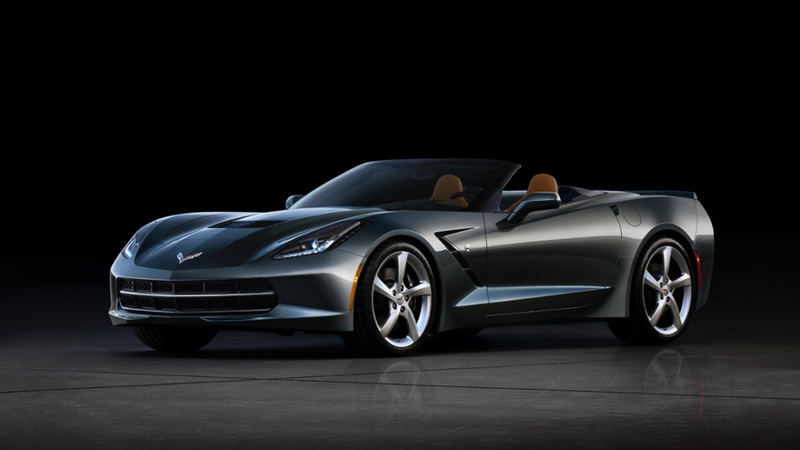 We’ve been waiting in anticipation for awhile now but Chevrolet was in Geneva showing off the all new 2014 Corvette Stingray convertible to the press at the Geneva Motor Show. The new convertible vette features a fully electric top that can be lowered at speeds of up to 50 km/h (30mph) and can even be lowered remotely using the car’s key fob–great for those extremely sunny days to let all the hot air out. The convertible Corvette Stingray comes with basically everything you would find on the Corvette Stingray coupe that we were introduced to in Detroit during the NAIAS. As both models were designed at the same time and because of the new more rigid aluminum frame in the latest generation Corvette, the only major changes are limited to accomodating the folding fabric top and repositioned seat belts. Both the coupe and convertible Stingrays are expected to put down similar performance figures as the weight differences are minimal. The latest update to the 911 GT3 has been revealed ahead of its world premiere at the Geneva International Motor Show tomorrow. I guess calling it an update is a bit of an understatement as it is much more than just a facelift to the to 991 design. 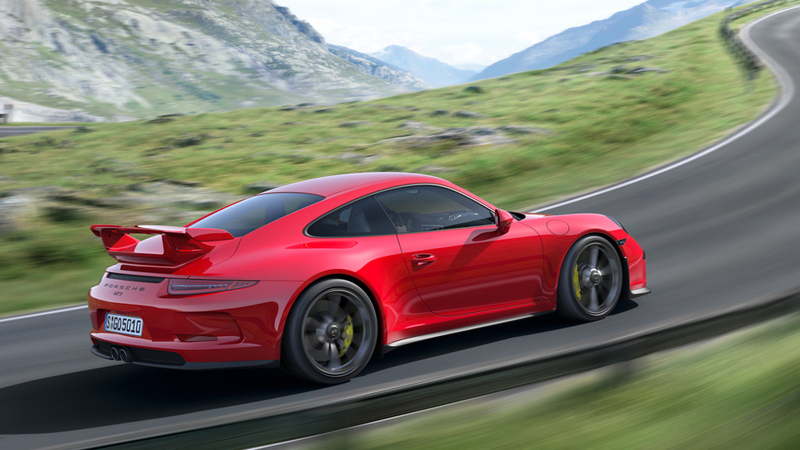 The fifth-generation 911 GT3 is the first production Porsche that features active rear-wheel steering and optional full LED headlights. Power wise, the new 911 GT3 gets a 475hp 3.8L boxer engine full of titanium goodies that revs all the way up to 9000rpm. 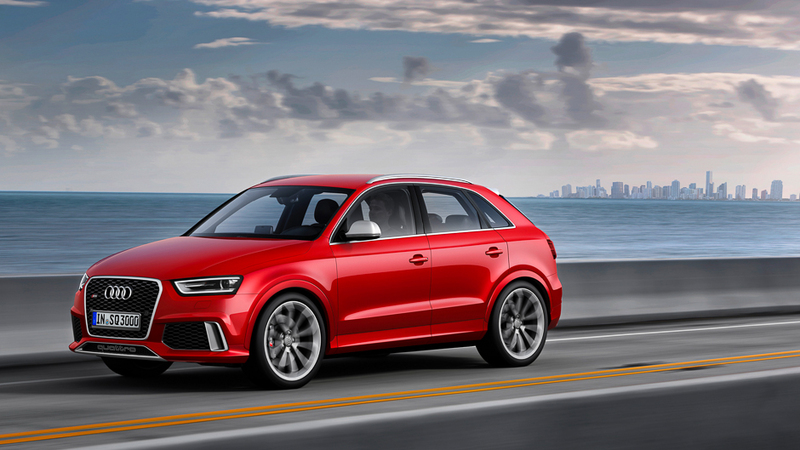 Audi has added another member to the RS family by bestowing the badge on the Q3, the first for the Q series. Perhaps we’ll see an RS Q5 or RS Q7 later this year as Audi seems to be growing the RS family for 2013. They’ve already announced the RS5 Cab, RS6 Avant and the RS7, so what makes the RS Q3? The production RS Q3 does not differ all too much from the concept that Audi showed to the world last year. They got rid of the all-road-esque black wheel arches (good move!) and replaced it with slimmer body colored arches. Gone also are the carbon fiber bits (vent, mirrors and front lip) but they may be back as an option. Good news if you were a fan of the 20″ wheels on the concept version as they’re available as an option. The standard RS Q3 is equipped with 19″ wheels.